Your Web AddiCT(s); have been covering various Web SMS applications in the past. Most of them required some programming or technical expertise. Some of these online SMS applications included the Twitter direct message SMS app and the ability to build a community around online SMS with the WordPress Bulk SMS plugin. 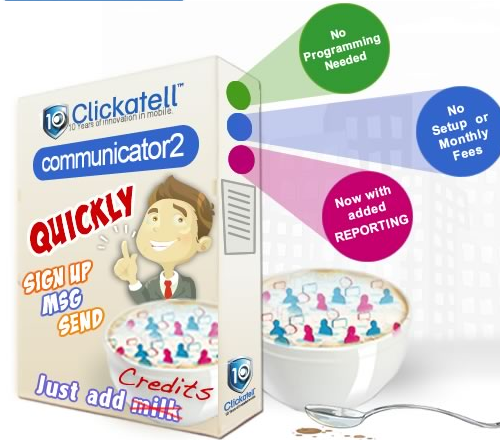 If that was too techie for you Clicaktell will easily allow you to send SMS online via the Communicator 2 application. Watch this video below to learn more about Communicator 2. View more webinars from Clickatell. SAIDI have many members in the Western Cape and Gauteng. Some of whom are members of www.idrive.co.za and some who aren’t. On occasion we send SMS invites to SAIDI meeting to everyone but sometime we need to text message only the driving schools on our system. With the new address book and improved user interface (UI) you can assign one user to many groups making contact management much easier. We send the same type of message regularly and with Communicator 2 we can create SMS message templates. This works really well for sending invitations to monthly meetings or the annual general meeting. Also when the site has any scheduled downtime, we can send a Bulk SMS message from a template. This saves time when every second counts. SAIDI manage their member database in a spreadsheet, we can export the necessary fields to a CSV and upload ‘batch files’ – this enables us to message multiple recipients without having the recipients’ contact details stored within the Communicator 2 online SMS address book. You don’t need to keep checking into Communicator 2 to keep track of replies. You can automatically forward inbound replies from SMS messages to either your registered email address or via SMS to your registered cellular number. The main benefit of being able to forward your incoming SMS messages to a mobile phone is the ability for Administrators to monitor customer responses and potentially engage with them while offsite. This comes in handy when monitoring text RSVPs to meetings as mentioned above. For more information about this Web SMS application visit the Clickatell Communicator 2 site. 📝 Have you thought about... ? How To ? How to send & receive Web SMS online with ease.